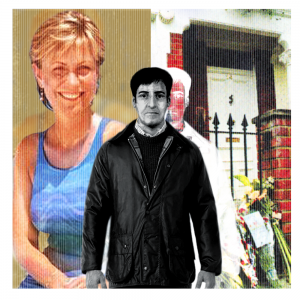 20 Years On…Will We Ever Know Who Killed Jill Dando? She had just arrived home after a visit to the shops and was about to unlock her front door when she was grabbed from behind. With his right arm, the killer held her and forced her to the ground, so that her face almost touched the tiled step of the porch. Then, with his left hand, he fired a single shot at her left temple, killing her instantly. The bullet entered her head just above her ear, parallel to the ground, and came out the right side of her head. It might have been just another big city murder, but this was different. For the victim was Jill Dando, a household name in Britain who came into your living-room several nights a week on the television, where her blonde good looks and easy-going temperament enchanted audiences. She was both presenter and newsreader, but in particular she was the anchor for the BBC’s Crimewatch programme. As such every week she dealt with the stories of crime victims, and no one could have imagined that on a bright spring morning she would tragically become one of the victims herself. Everyone was mourning, everyone was asking, who killed Jill Dando? There were all sorts of theories – a jealous boyfriend, an embittered Crimewatch crook she might have helped to send to jail, a stalker, a deranged fan, a professional rival, and so they went on. Most of them were dismissed one after the other as not being quite plausible. Only a small handful of facts were beyond dispute, and they were known right from the start: that Jill was shot at point-blank range with a semi-automatic 9 mm pistol outside her home at 29 Gowan Avenue, Fulham, at about 11.30 a.m. on Monday, April 26th, 1999.